WHEN February 1 – February 12, 11:59pm PSTWinner announcement will be made on February 14th! Questions, comments, reviews, fan art, photos… ANYTHING! Please be advised that emails of event winners will be displayed on Lezhin Comics Facebook page and this blog. 50 Coins for the lucky winners! It’s not like we wanted receive to a love letter or anything… Stupid! Well, we are very GOOOOOOD and now making COMICS. PLEASE visit http://www.lezhin.com/en and check awesome events! Can you make a reverse harem comic and please give me some extra coins because I wanna finish those amazing chapters and share them with my friends!!! “My Secret Brother” is not completed yet, and we also love “Stand Up”. 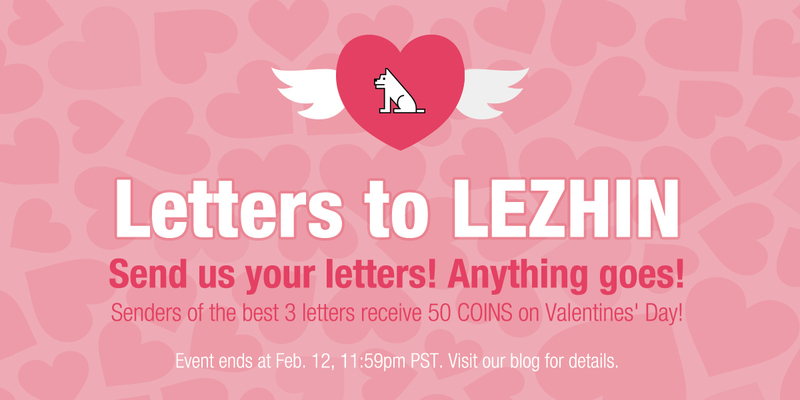 Meanwhile, why don’t you give us LETTERs to get COINs?? – As we already know, creativity of our artists is not free. Let’s try and hurry up!